But the transmission? WOW, what a marvelous improvement!! Today’s automatic transmission has a computer (Transmission Control Module or TCM) that senses vehicle speed, wheel speed, throttle position, turbine speed, transmission fluid temperature, brake plus inputs from the Traction Control System (TCS) and Cruise Control Module (CCM). The TCM translates these inputs to operate pressure control solenoids, shift solenoids, torque converter clutch solenoid and may output to the engine control unit to change timing or reduce fuel for a few milliseconds to reduce the load on the transmission when shifting. The basic function of any transmission is to provide a range of gear ratios to help you accelerate and climb hills and disconnect the engine from the drive wheels when the car is stopped. 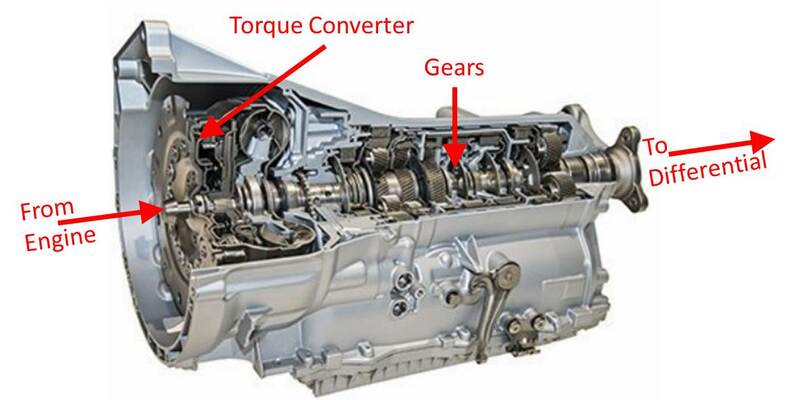 Actually the disconnecting of the engine from the wheels in the automatic transmission is the role of the torque converter which has blades on 2 wheels immersed in fluid with a small gap between them. The engine spins one wheel and the turbulence generate by its blades turn the other wheel connected to the transmission. When the engine is a low idle, there isn’t much force coming off the blades of the wheel connected to the engine to turn the wheel connected to the transmission. At higher RPM, the torque converter causes the input shaft to the automatic transmission to spin. All of this fluid motion causes heat which contributes to the degrading of the automatic transmission fluid over time. The conventional automatic transmission has a series of gears that are selected by electronically controlled hydraulics that change gears automatically as the car accelerates. Newer transmissions have more gears to keep the engine operating at an RPM that delivers maximum fuel efficiency and/or power. The Continuously Variable Transmission (CVT) was developed by GM in the 1930’s but there weren’t fluids and control devices available to make it practical. With modern electronics and fluids, the CVT was introduced by Subaru in 1989. The CVT takes fuel efficiency up 10-12% by using belts between 2 variable diameter pulleys with a wide range of ratios to allow the engine to operate at a constant speed for fuel economy or rev up when needed for maximum power. 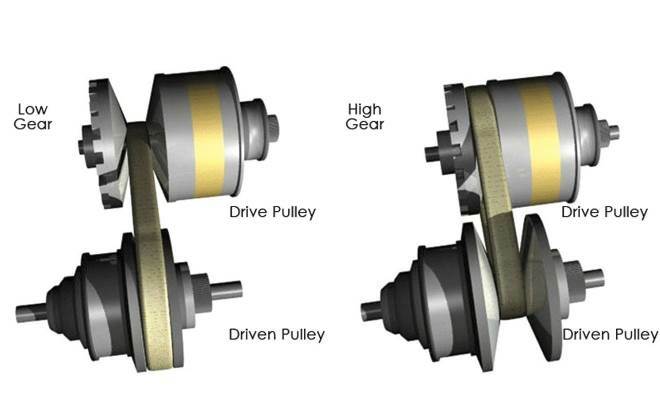 Some CVT’s operate with an electronically controlled clutch instead of a torque converter. Their downside of the CVT is the heat generated between the belt and pulleys which limits the size of engine and vehicle where it can be used. The Dual Clutch Automated Manual transmission has 2 gear shafts, one for the even numbered gears and one for the odd numbered gears. 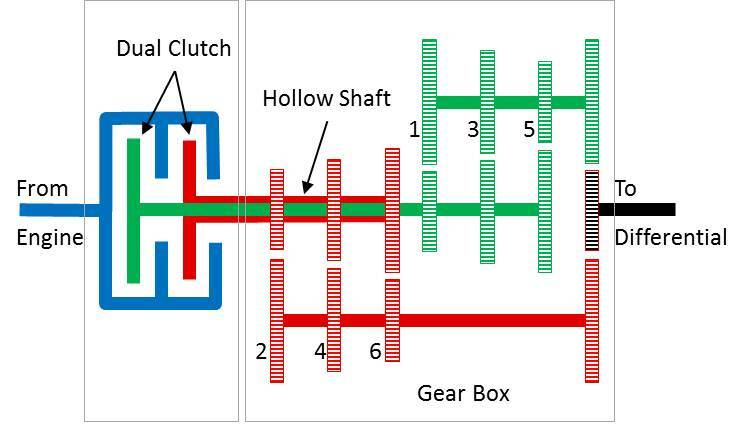 With this system, when 1st gear is connected to the engine, the clutch for the other shaft can be disconnected and the 2nd gear engaged. When it is time to shift, the clutch from the odd gear shaft disengages and the even gear shaft engages. 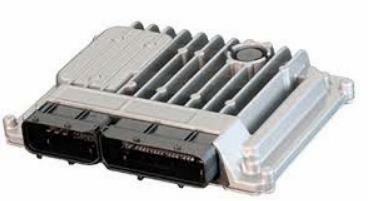 This system can be used in high performance cars because they can handle much more power. When it comes to maintaining these marvels of automotive efficiency, you need to select a repair shop with knowledge and experience to correctly maintain, diagnose issues, and make repairs. If you put ATF fluid in a CVT transmission, you’ll probably end up at the side of the road facing thousands of dollars for a new transmission. While taking your car back to the dealer where you bought it is a safe way to increase the chance that you will get proper repairs for your type of automatic transmission, they have franchise expenses and overhead costs that we don’t have. We are a family owned repair shop that specializes in transmissions. We have ASE certified experts, each with over 30 years of experience in maintaining, repairing and rebuilding transmissions. Get a written estimate and bring it to us. We can often beat the cost you’ll pay elsewhere and you’ll get an ATSG or ATRA warranty on the work we do that is honored nationwide.